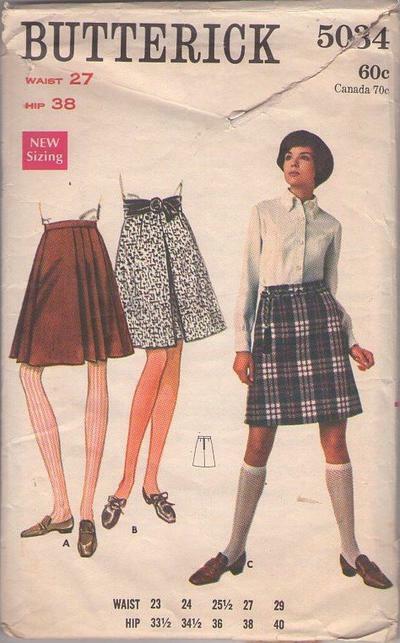 60s Mod, Retro Twiggy Clothing Patterns - MISSES' SKIRT IN THREE VERSIONS, A-line skirt with waistband; with or without pleat variations. Blouse not included. Purchased belt.